As one of South Africa's leading insurance companies, Assupol has funeral cover for almost every South African in mind. These are the most significant and attractive aspects of buying funeral cover from Assupol. You get the most for your monthly premiums! But there's more to Assupol funeral cover. By using our website, we can ensure you will get the best deal on not only Assupol’s funeral insurance, but other providers as well. Just read more below and fill in our form. This funeral policy is the simplest of the funeral cover that Assupol has to offer. It caters mostly to younger individuals as they don't have children and spouses to consider. So if you identify with this description, then the first step for you to do is to get a quote. With the Absolute Advantage Individual Cover, you can get insured for as little as R32 per month if you are less than 25 years old. This is not a significant amount of money to part with, especially when you consider the financial burden you would put your loved ones if you where to suddenly pass without any form of funeral insurance. Furthermore, the insurer is one of the only companies that will cover retirees up to the age of 80 years old, and all from just under R80 per month. Loved ones are important, and family is by far the most cherished part of most people's lives. You're no different, and your family shouldn't either. Assupol funeral cover offers family insurance policies that cater to your own needs, your children's, your spouse's, your parents' and parents in-law, and other immediate family members. By ensuring you have family funeral insurance from Assupol, you can have peace of mind that their financial needs will be taken care of when you pass away, or that you can claim under the policy for any insured family member if he or she passes away. 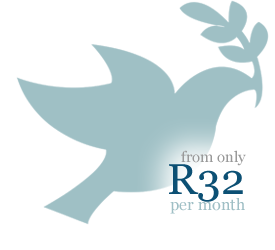 Premiums for family funeral cover can start from as little as R42 per month. This is inclusive of your children, spouse and two parents. Please be aware that to add more members of your family, your monthly premiums will increase accordingly. You can use our website to get funeral cover quotes for Assupol, and many other funeral insurers, by filling in our form.